Tim Lambourne is a regular on NZ's number one electronic music station, George FM, often called in to cover the flagship Breakfast, Days & Drive shows. 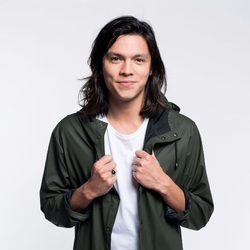 Tim has also pulled in festival slots including Rhythm and Vines, Spring Break Fiji, Our House Music festival and Summer Vines DJ'ing for MC Tali. With experience across House, Drum & Bass, Hip Hop through to old time classics - Tim can play a wide range of sets that will get every dance floor pumping. Currently based in Japan and focusing on his side project, Inside Voices.